1. First check for a paper jam associated with the carriage which the print head runs back and forth on. Look for a small piece of paper jammed near the end of the print head carriage. 2. The Ink Cartridges may not be seated correctly. Try removing all ink tanks and then reseat them all firmly. If this doesn't remove the error try step 3. 3. Try reseating the actual print head. This is done by removing all of the ink tanks from the print head. Next release the print head by raising the lever on the right hand side of the print head itself. Once fully removed replace it and lower the lever to lock the print head back in. 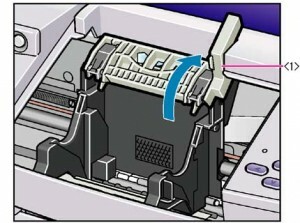 Usually this will fix the c000 error as it generally indicates that there is a problem with the electrical connections between the print head and the actual printer. If the problem persists you may want to look into replacing the printer as print heads are usually not much cheaper than the cost of replacing the whole printer.